Meet Dr. Begley | Duluth, GA | Dr. James Kent Begley, D.M.D. From the time he was 12 years old, Dr. Begley always wanted to be a dentist. He graduated from St. Xavier High School in Louisville, Kentucky. Following high school he received his Bachelor of Science degree from the University of Kentucky in 1972, and went on to dental school at the University of Louisville where he received his DMD in 1976. Following graduation from the University of Louisville, Dr. Begley served as a Captain for two years in the United States Air Force Dental Corps. He was stationed at England Air Force Base in Alexandria, Louisiana. Dr. Begley opened his practice in Norcross in 1978, and moved to his present location in Duluth in 1999. Dr. Begley and his staff always strive to offer the best possible care and consideration for his patients. "Expect the Best" is more than just a motto hanging in the front office; it is an expression of the type of care that Dr. Begley will provide to you and your family. During his over 30 years in private practice, Dr. Begley has continued to participate in many continuing education courses designed to keep him up to date on all aspects of family dental care. Dr. Begley and his wife, Daryl, raised their two sons in Duluth, where they participated in many community activities. Dr. Begley was an active baseball coach for many years at Shorty Howell Park while his sons, Jay and David, played ball all through the program at the park. Dr. Begley has been a long-time sponsor of the Thunderbolts Swim Team and served as a stroke judge for many seasons while the boys were on the team. Daryl is a past president of the PTA at both Duluth Middle School and Hull Middle School, and worked with the Duluth High School Swim Team Booster Club for seven years. 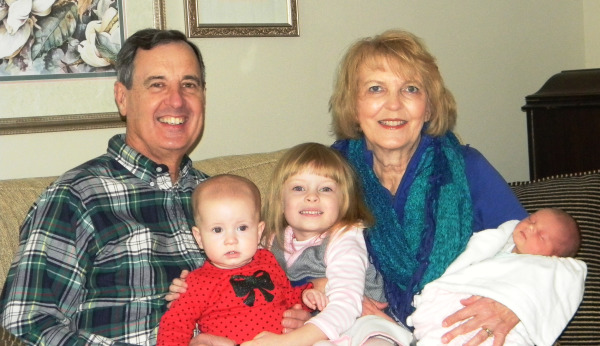 Dr. Begley and Daryl are the proud grandparents of three beautiful girls: Kate, Caroline and Elizabeth!